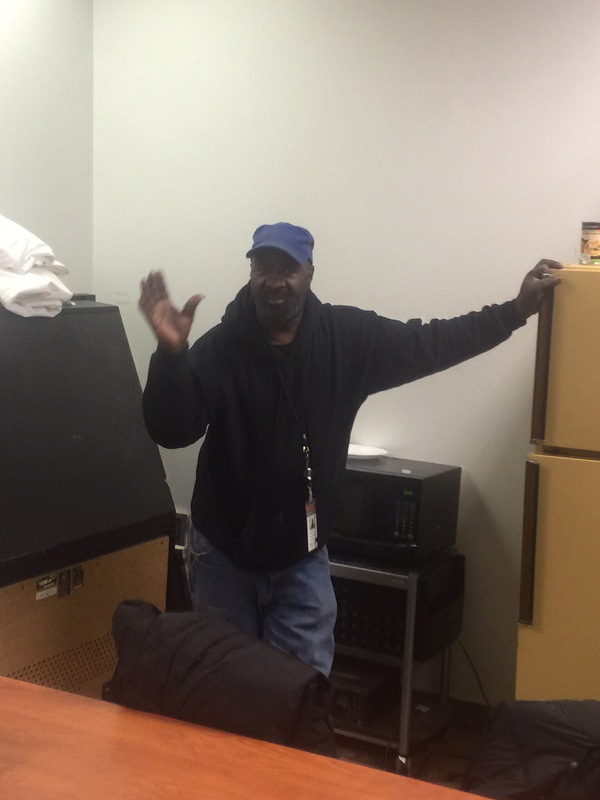 The New York Avenue Men’s Shelter can serve up to 360 men comfortably. During hypothermia season, they can have as many as 400 guests. Now, imagine how much staff it would take to clean a hotel of that size. Whatever the number, it’s probably more than the staff at the Shelter. 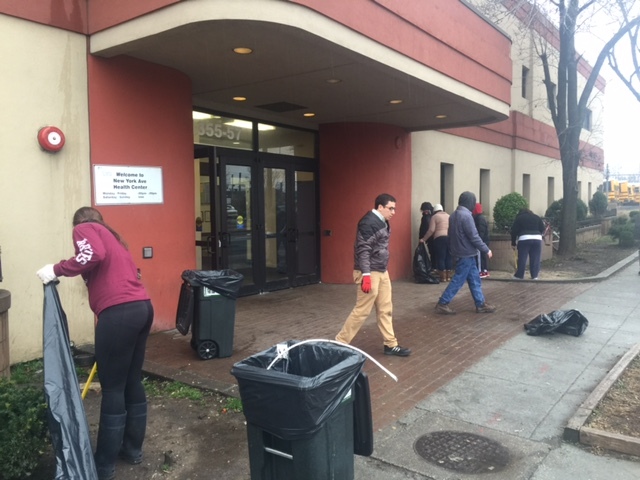 On Saturday, January 3rd, I joined a group of eight volunteers tasked with cleaning the shelter. We were supervised by Nate, one of the full time staff. Of course, the fact that he was there on a Saturday, suggests it is more than a full time job. Nate showed us where all the supplies were and gave us assignments, including sweeping the dorms, wiping the walls, mopping the floors, cleaning the exterior, etc. It was part of a new program in which, once a month, a team will show up to clean the facility, top to bottom. Ideally, it will be largely the same crew, so that we’ll be able to come in and get the job done without Nate’s close supervision. Maybe he can even take Saturday off. Our team was an eclectic group. Everyone had signed up online on the Catholic Charities of DC website. There were two young mothers with their sons, a couple of students and one old guy (me). It was hard, but very gratifying, work. While we were scheduled for 3 hours, we finished in 2 1/2. I was so impressed with the commitment shown by my fellow workers. Not to diminish in any way the contribution of large groups that take on volunteer projects as a community, I think there something special about an individual simply signing up to help on his or her own. One of the young mothers, Ellen, told me that, in addition to her 15 year old son Ethan, who was with us, she had a 4 year old and a 15 month old at home. I asked her how she found the time for a volunteer project such as this. Her answer said it all. “You make time,” she said.